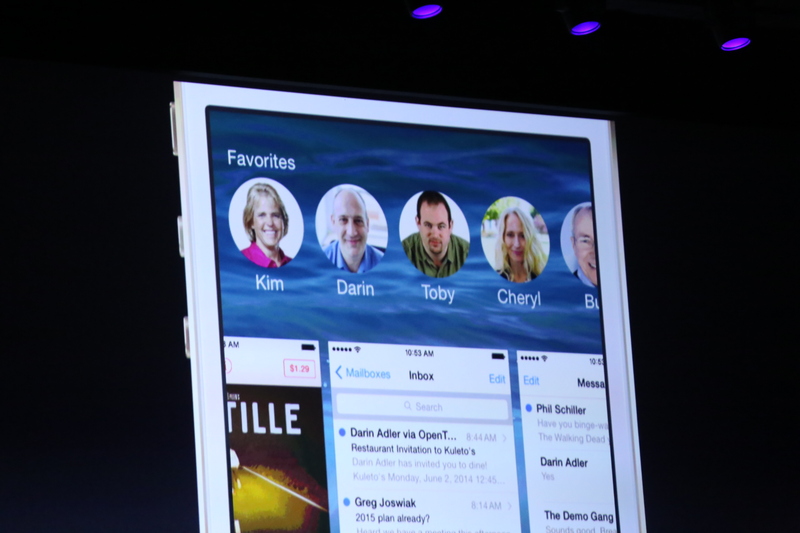 Federighi then demonstrated the new feature by calling in to Apple’s “newest employee,” Dr. Dre. 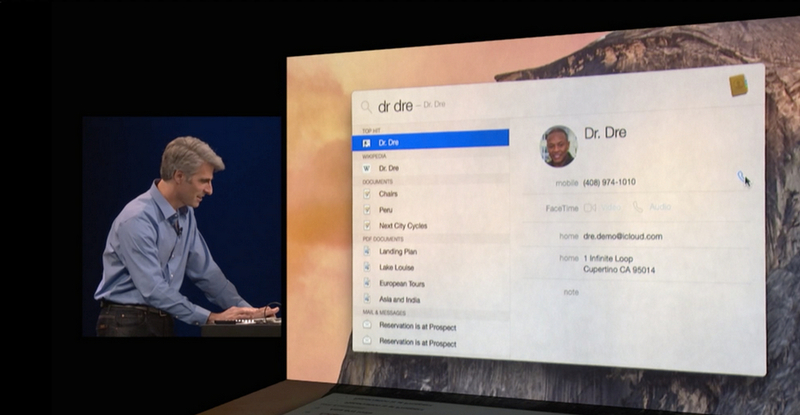 Dre joked he wasn’t sure he could show up to work when Tim Cook does. 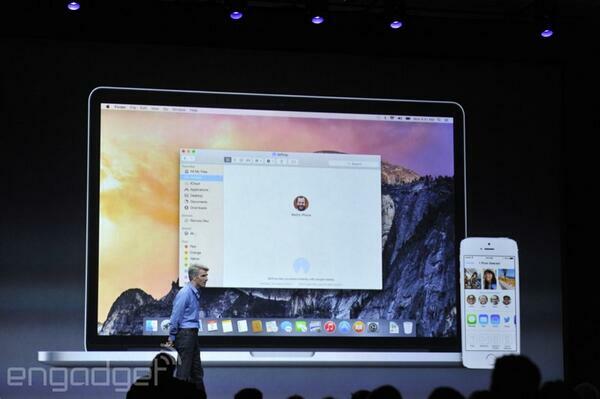 Like phone calls, OS X Yosemite also gives Mac users the ability to send and receive text right from their Macs. Those on iPhones usually see Android texts as green bubbles and iPhone users are identified with blue bubbles for text. iMessages can show up on a Mac, whereas, until now, normal SMS text messages from Android devices could not. Federighi made a light-hearted jab at Android users here: “Green bubble friends, they have inferior devices.” He revealed iPhone users now also have the ability to send and receive text messages from those who do not have iMessage right on their Mac as well.